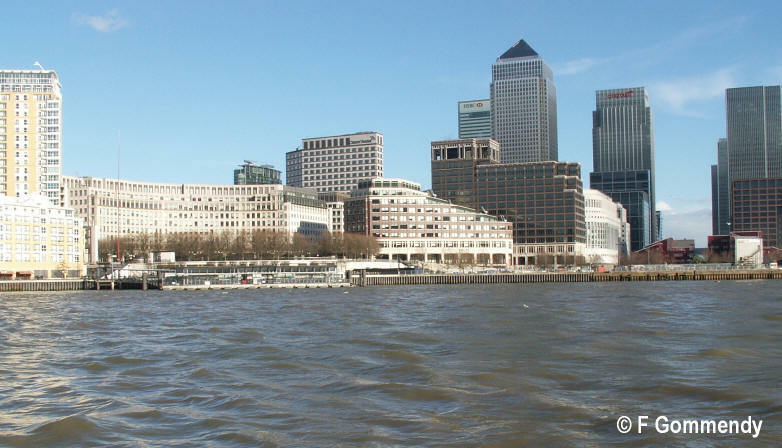 I haven’t told you, but instead of going home to my South London apartment, I stayed a few nights in the event hotel, the Hilton, just across the venue on the other bank of the Thames. “Just take the ferry”, told me Linda Davie, “and leave your car at the hotel, you’ll see, it’s a very short ferry journey, quite nice really”. Yes, sounded a good idea, so took my computer, and off I went. It suddenly daunted on me as I was approaching the ferry that it was a boat. Well I knew that, but I had slightly forgotten that I’m not THAT mad about boats. At all. I thought I'd seen every kind of lunatic behaviour thanks to this reporting job and to my profession, but I obviously hadn’t. 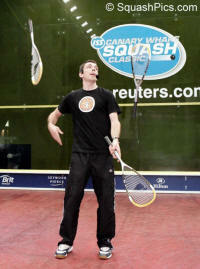 Just before the first semi-final, on court came a chatty young man, Squash Coach at Cottons Fitness Exchange, Chris Sly. And he started juggling with 3, then 4, then 5 racquets. What was nice in particular, is that he was bringing the spectators in his performance, as he was explaining to them what he was going to do, if it was hard or not, getting them to participate. He was also frank, and pointed out when he failed in his act. 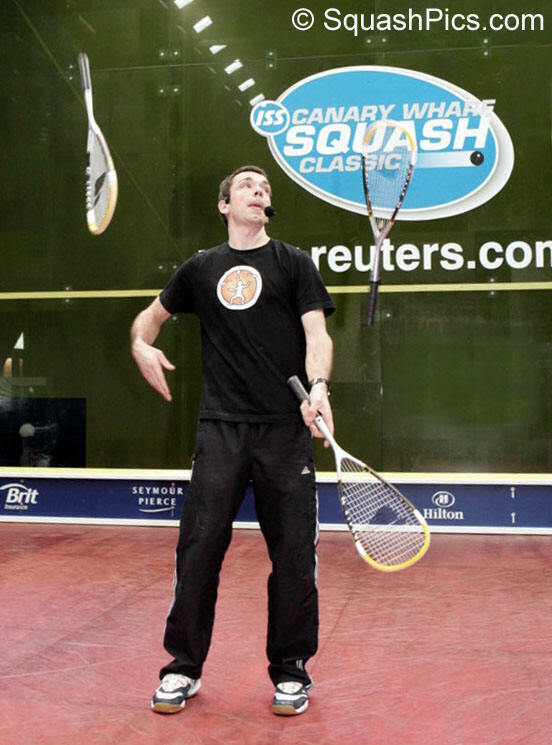 And the same approach when he got to the closing number, riding those one wheel cycle that you only see in circuses, holding a piece of wood in his mouth on which he made a racquet spin, while juggling 4 racquets, where he gave himself 3 tries. He got it right the second time. 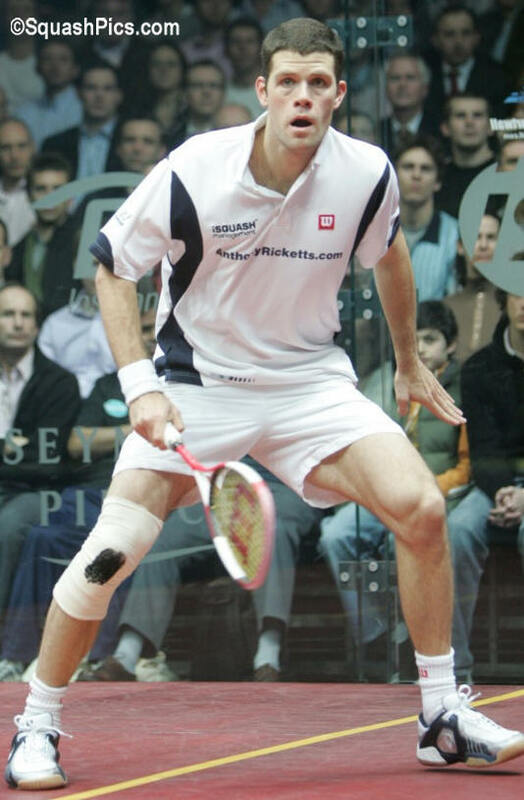 I’m not a specialist of the rules, but I seem to remember that you are not supposed to see blood on a player when he is playing a squash competition. And sometimes, injuries can start bleeding again, even after being strapped. So, as Anthony suffered from a little scratch that made his knee bleed, he put a small plaster on it, and above that, a large white bandage to keep the plaster in place. And as it was not enough, just to make sure that blood couldn’t be seen through, he took a black stencil, and covered the whole knee area with black . I love that phrase… full house… Don’t forget I’m an actress, and that’s what we like to have, plenty of spectators to perform for. And let me tell you that they got value for money tonight, both quality AND quantity, as we finished past 11.30 pm. Next to me was sitting a charming man called Ed. And when he saw me scribbling pages and pages, he asked me who I worked for, bla bla bla, you know, the normal questions. “But I see you are writing every point down”, he said. “Well yes, that way, I can recall what happened during that particular time of the match,” I replied. “I enjoy your articles very much…” is always a sure way to attract my attention, and especially if it’s a young man…. And tonight, on the first row, right behind the glass where Tim Garner has the kindness to place the Press, I got chatting with the Estonian number one player, Rauno Tiesel. Well, I’ve never been to that part of Europe, and who knows, maybe I will soon??? If you were already reading my column last year (and if you weren’t, why not ??? ), you may remember David Loite, a squash fan from Norway, who comes every year to Canary Wharf to enjoy the show. Well, he didn’t fail this year, did he? 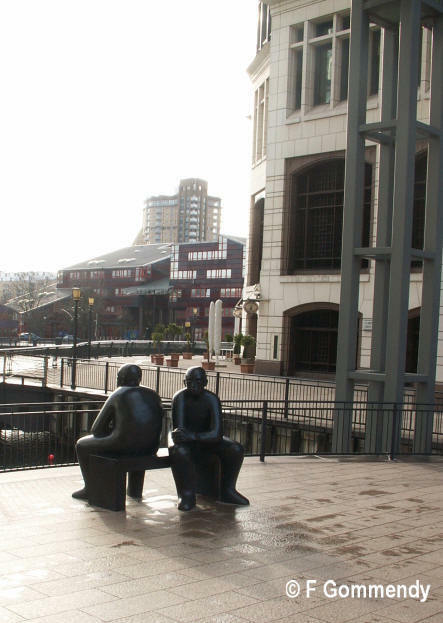 You may have noticed that I haven’t been writing as much as I normally do, both in Manchester during the British Nationals and here in Canary Wharf, London. Well, I’m computer doomed really. After my computer’s screen turned to black last year during the ToC, then the purchase of a new computer that never really worked for no good reason, both hard drive and video card corrupted, we bought a new one in November… that had a hard drive setting error…. So, no computer for 10 days (as my repairman was away skiing on holidays, how dare he), while my TV, central heating, mobile, Bluetooth earpiece, electric tooth brush all died in the space of 5 days. During the match between Karim Darwish and Olli Tuominen, a ball was out of view from World Referee Mr John Massarella, one of our best refs it has to be stressed. ”The ball was definitely down”, said one, “nooo, it was good”, said the other player. While Peter Nicol was battling away with Spanish Marvel Borja Golan, the laughter coming from people dining while watching the match disturbed Golan who was about to serve. “Quiet please” said the Ref. Well, it’s good for business, isn’t it??? ?